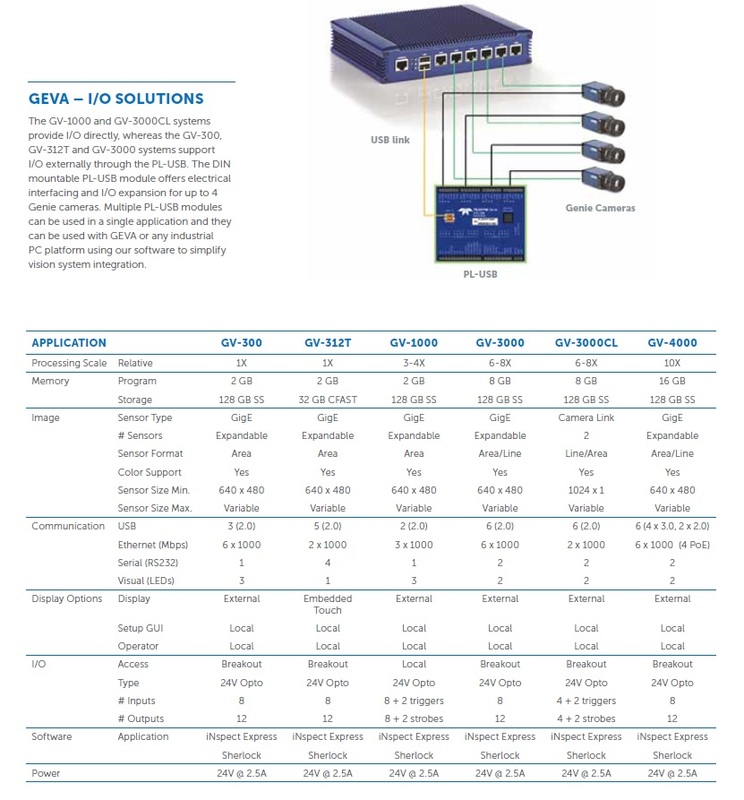 The GEVA-312T has similar performance to the GV-300, but is packaged as an HMI touch panel. The system includes 2 Gigabit ports for camera and network interfacing, USB and serial ports for I/O control, and front accessible USB for easy maintenance access. The GEVA-312T supports panel or VESA mounting options.